AN extension to The Tynings School has been named Fleur’s Wing in honour of a firefighter who was killed on duty in Staple Hill nearly 20 years ago. The suggestion came from neighbours of the school in Eastleigh Close who remembered the tragedy in which 21-year-old Fleur Lombard died fighting a fire at the Leo’s supermarket in 1996. Head teacher Ashley Yates contacted Fleur’s parents, Roger and Jane, who were delighted to support the idea. 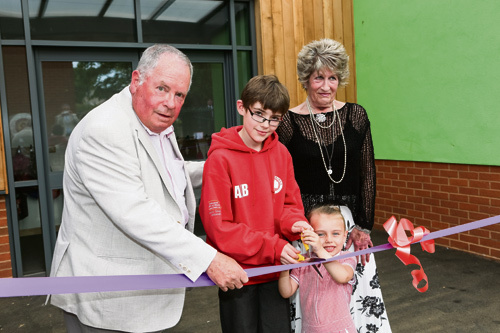 Last week, the couple travelled from north Yorkshire to cut the ribbon on Fleur’s Wing, assisted by the school’s youngest and oldest pupils, Paige Gleed and Alex Browne. Also present were the local MP Jack Lopresti, chair of South Gloucestershire Council Erica Williams, representatives of Avon Fire Service, former staff, parents and friends of the school as well as some of the architects, builders and council officers responsible for the new block. Mr Yates said the wonderful extension was a fitting tribute to a young woman who had dedicated herself to keeping people safe. Fleur, the first female firefighter to be killed in peacetime Britain, had received the Silver Axe award as the most promising recruit during her training. After her death, she was awarded the Queen’s Gallantry Medal. Fleur’s sister Rebecca, who was unable to attend the event, wrote some memories of Fleur as a child, which were read out by Menna Richards and Florence Howell. Roger Lombard said the family had been comforted by the support they had received since the tragedy and by the knowledge that lessons had been learned as a result of his daughter’s death. He and Jane said Fleur would have loved the idea of the building being dedicated to her. “It is something that helps keep Fleur in our memories. It shows that people who might not even have known her still remember her and want her name to be treasured,” he said. Mr Lombard sat down to talk directly to the school’s pupils and urged them to follow Fleur’s example. 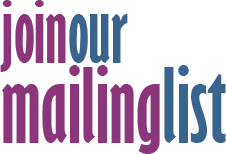 The £1.8 million expansion will allow The Tynings to grow to a maximum of 420 pupils to meet increased demand for school places.